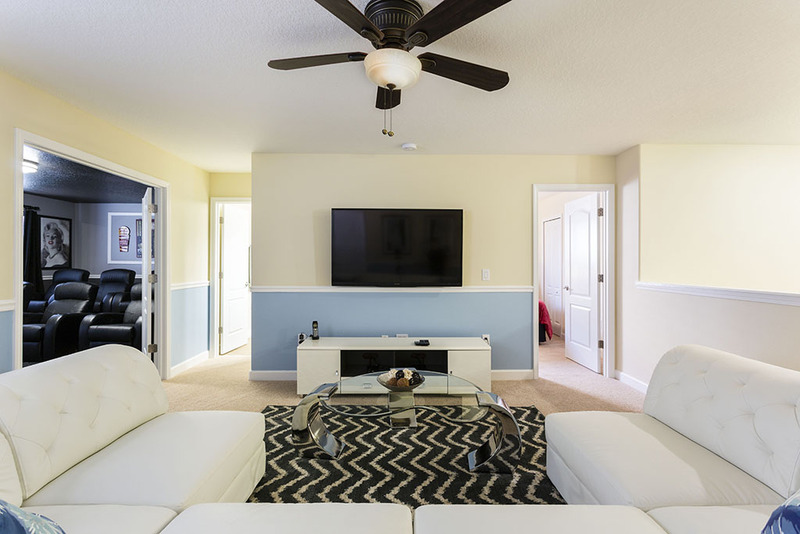 Beautifully furnished throughout, the entire home offers a remarkable combination of privacy and comfort, along with fabulous family friendly living spaces for you and your guests to find your own place to relax in peace or enjoy some well deserved quality time with your family and friends. 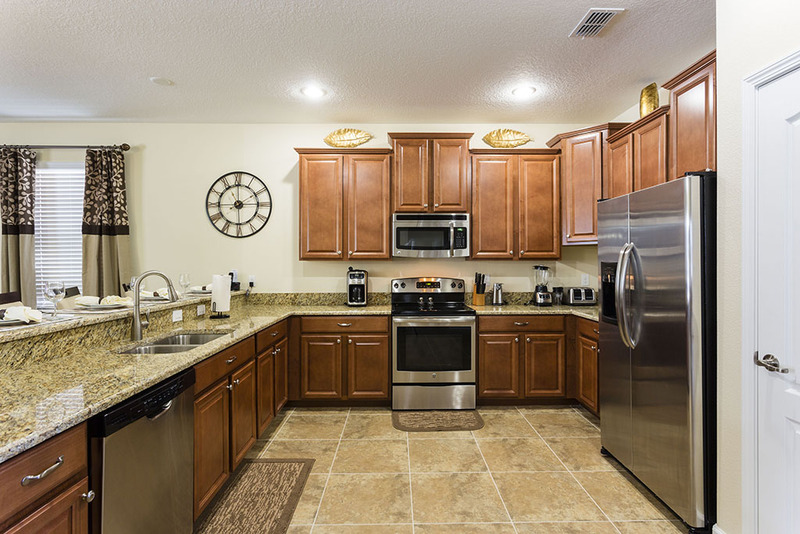 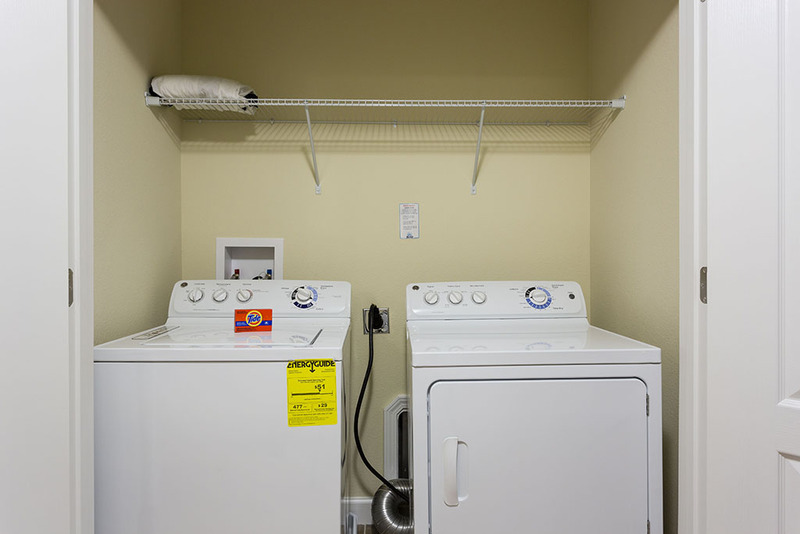 The ground floor family area includes a spacious and fully equipped kitchen for all of your favorite snacks and meals, and includes modern, stainless steel appliances and a breakfast bar with granite surfaces. 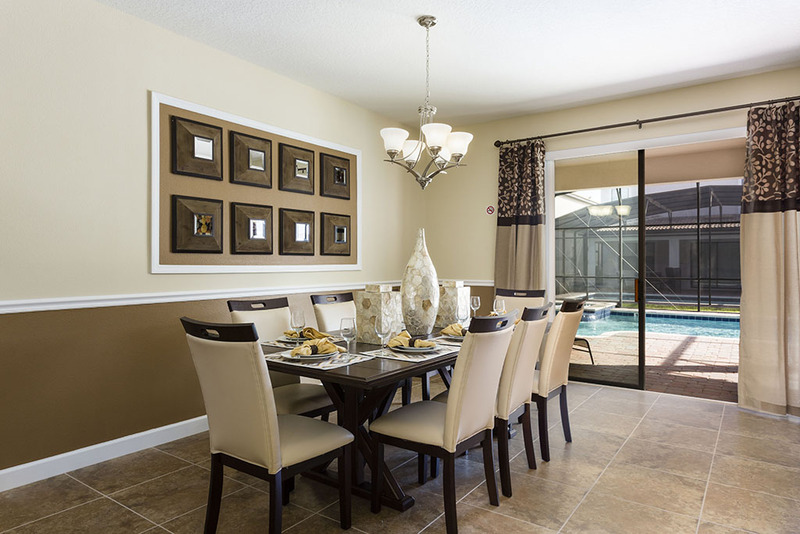 Just a few steps away, a stylish formal dining area seats 8 guests, with views out onto the covered lanai and pool deck. 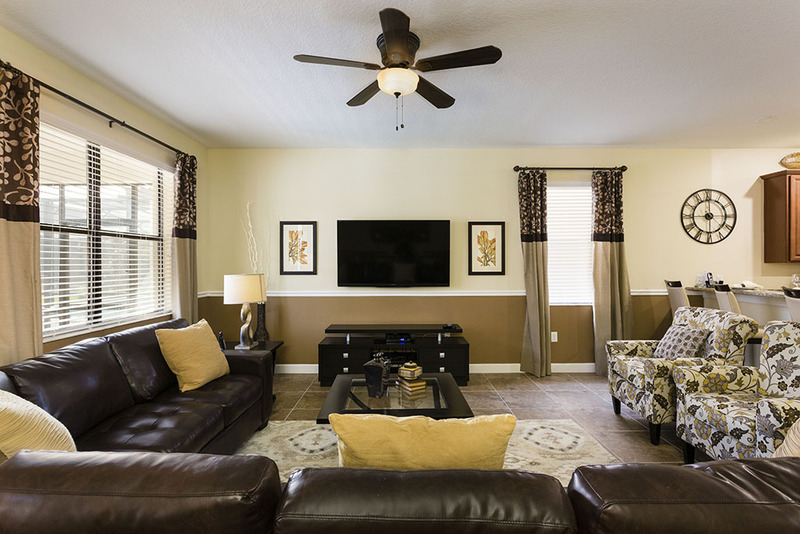 A lounge area also provides the perfect place to catch your favorite TV shows and relax in air conditioned comfort as you plan the rest of your vacation's details in style! 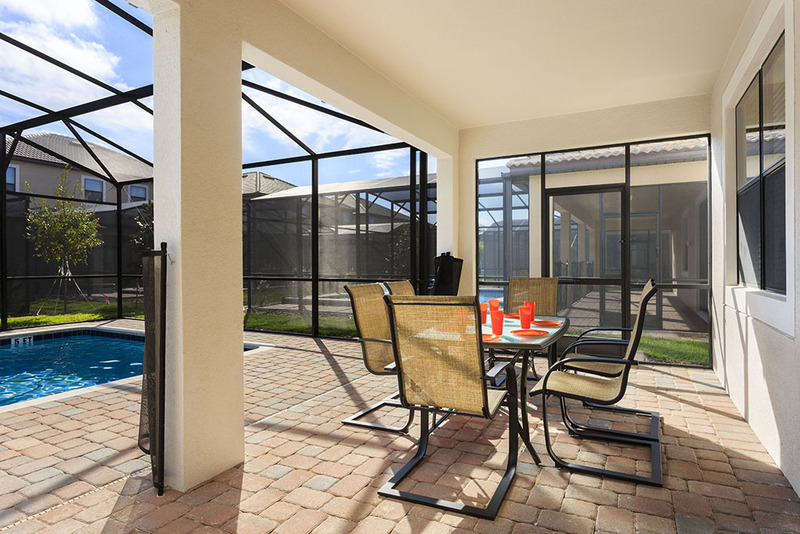 Of course, your own private pool deck is always the highlight of a great vacation home, and yours comes complete with a covered lanai, dining table set, screened pool, spa and sun loungers. 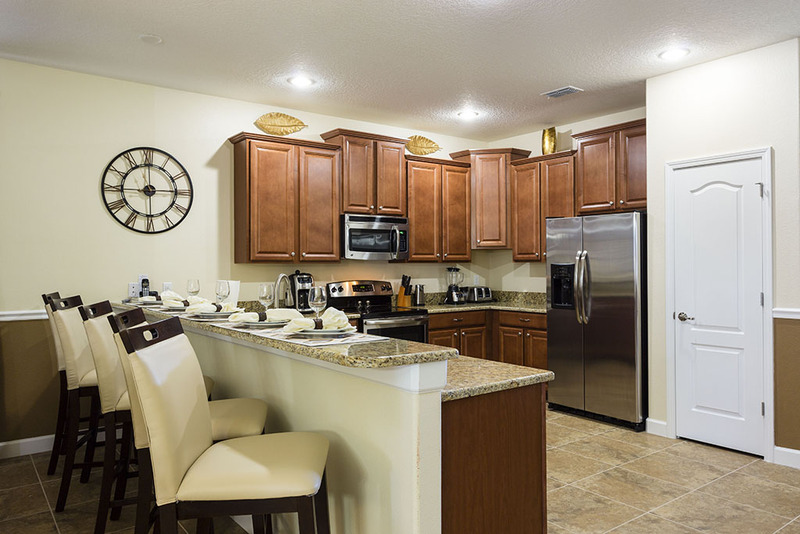 So don't forget to plan some quality time in the beautiful Florida sunshine! 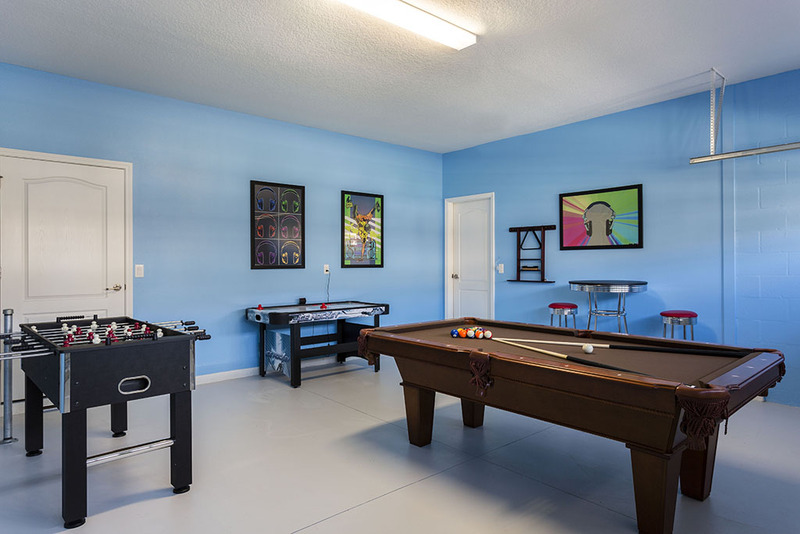 After a busy day at the theme parks, or playing golf on your doorstep, this stunning vacation home offers endless fun thanks to the fully equipped games room, with pool table, foosball and air hockey tables. 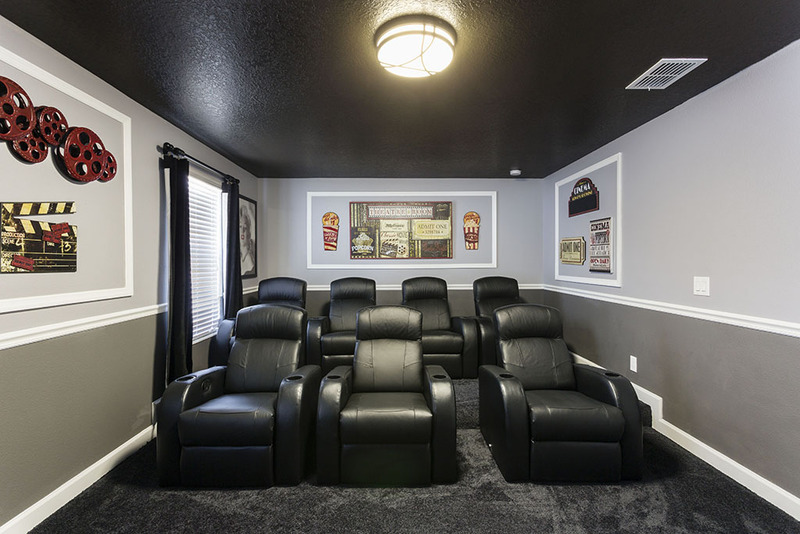 For movie fans, there's a custom designed home theatre, with large screen LCD TV and tiered seating for 7 guests! 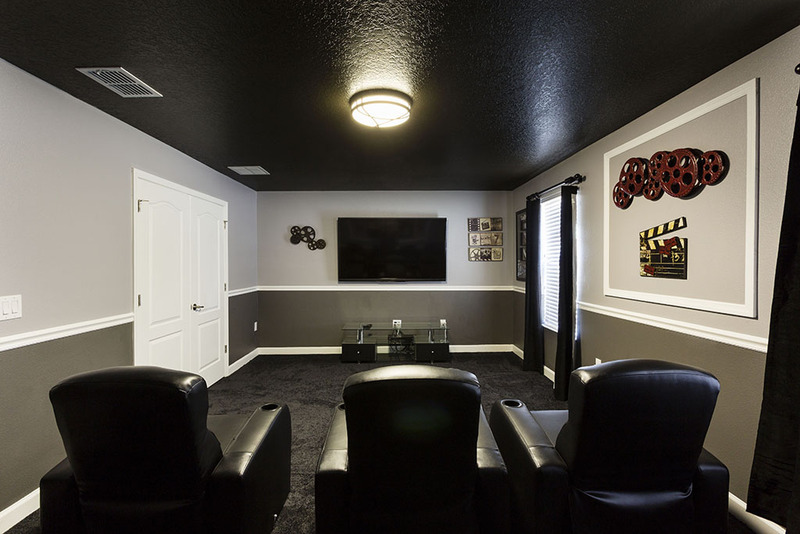 If you prefer to relax in space and comfort, to read a book or connect your tablet to the home's WiFi, there's even a luxurious loft area, with comfortable seating and LCD TV. 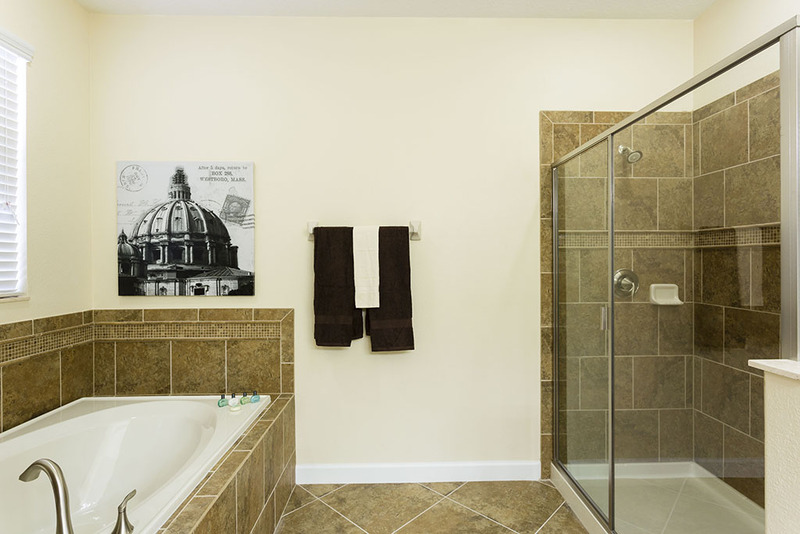 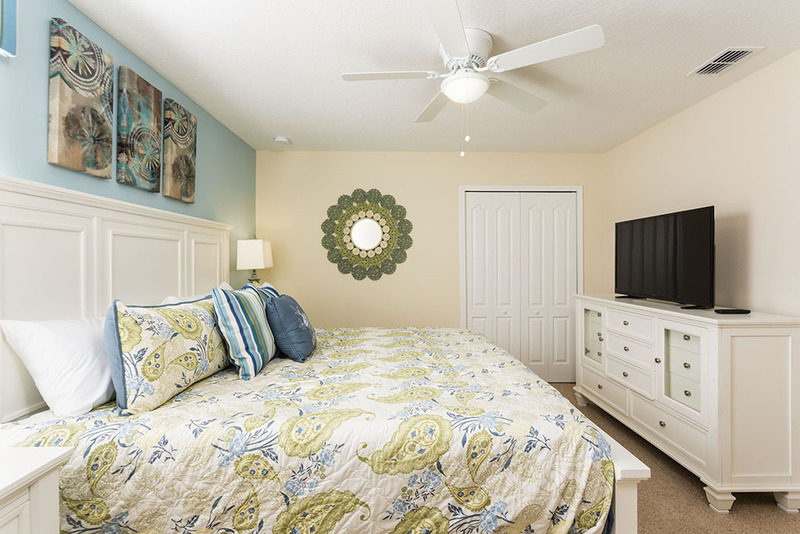 A Spacious King sized master bedroom is located to the rear of the home and includes a TV, spacious en suite bathroom with bath tub, shower, twin vanities and access out onto the pool deck. 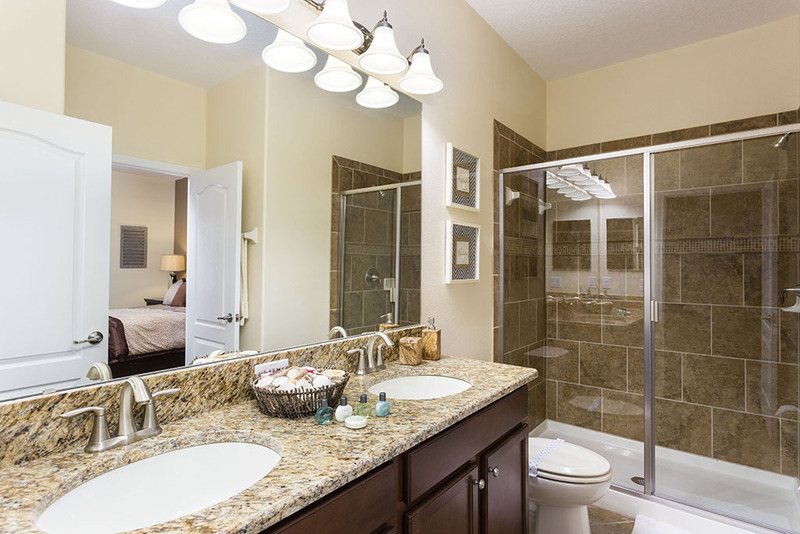 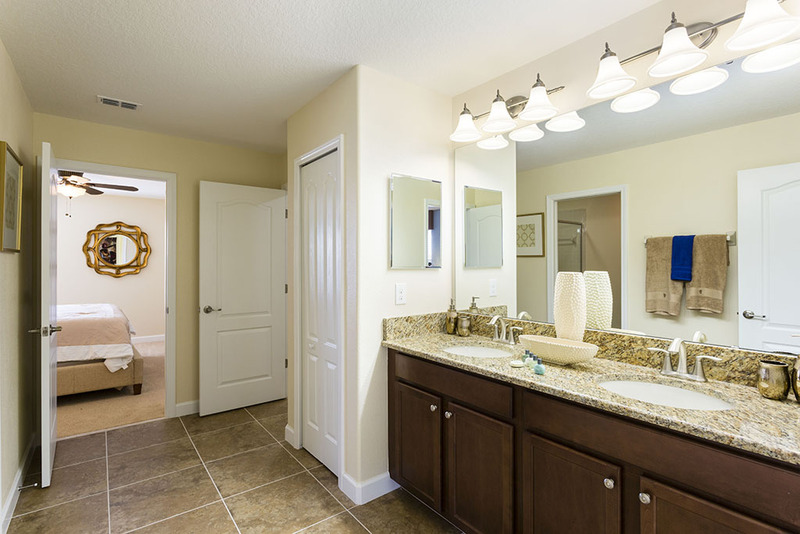 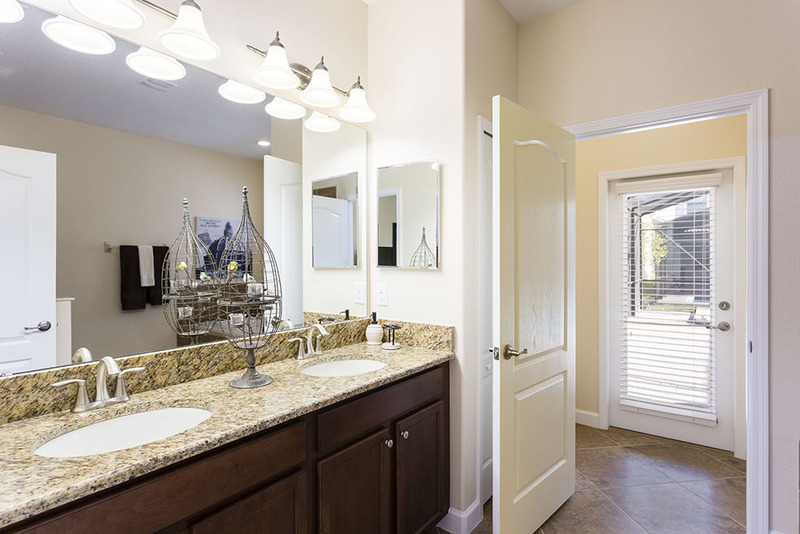 To the front of the home, a King sized master suite includes a TV, and an en suite bathroom with shower and twin vanities. 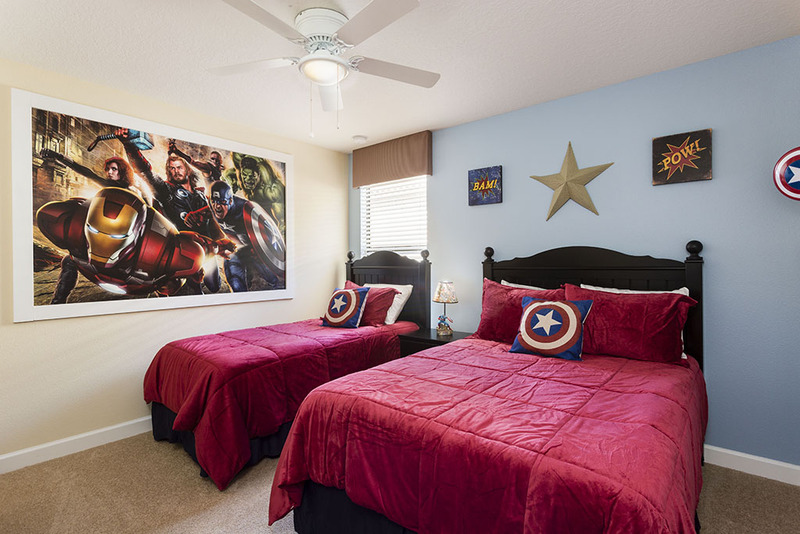 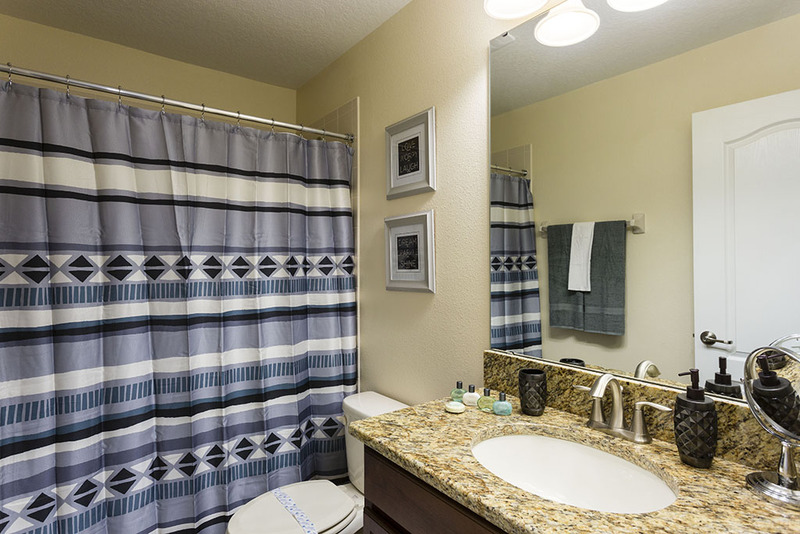 A King sized bedroom shares a spacious en suite, including shower and twin vanities that has a Marvel themed twin bed and full sized bed. 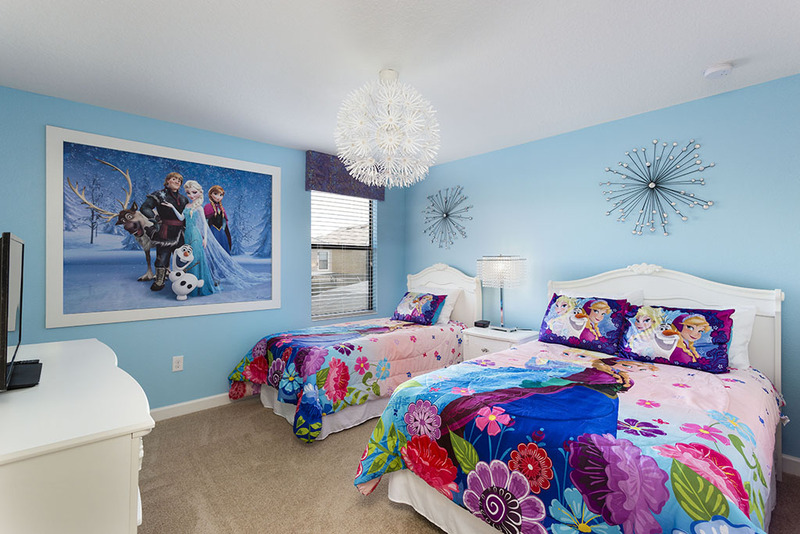 A King sized bedroom shares an en suite including shower and twin vanities with a twin bed and a full sized bed with a charming Frozen theme. 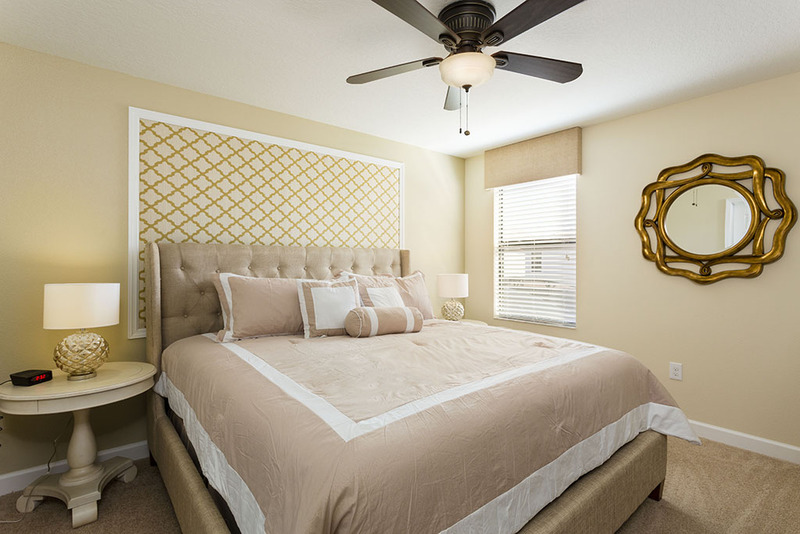 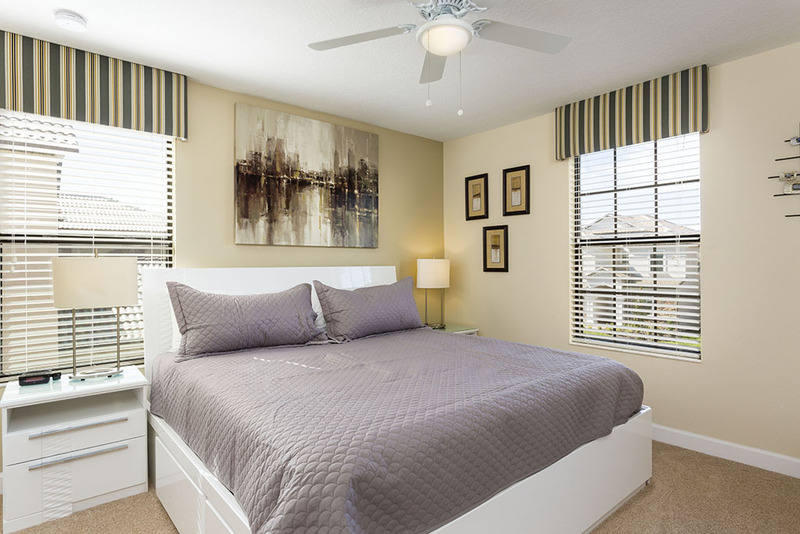 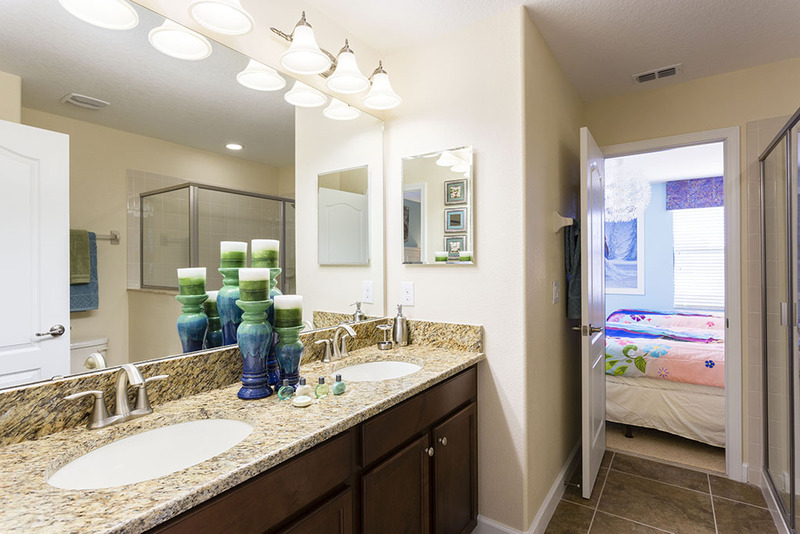 A comfortable and stylish King sized bedroom is located towards the front of the home. 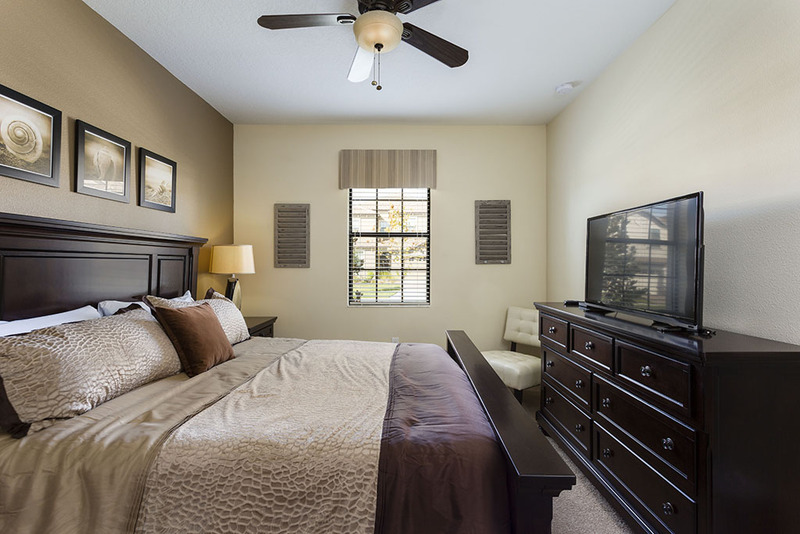 A tastefully designed room with two full sized beds is located to the rear of the upstairs floor. 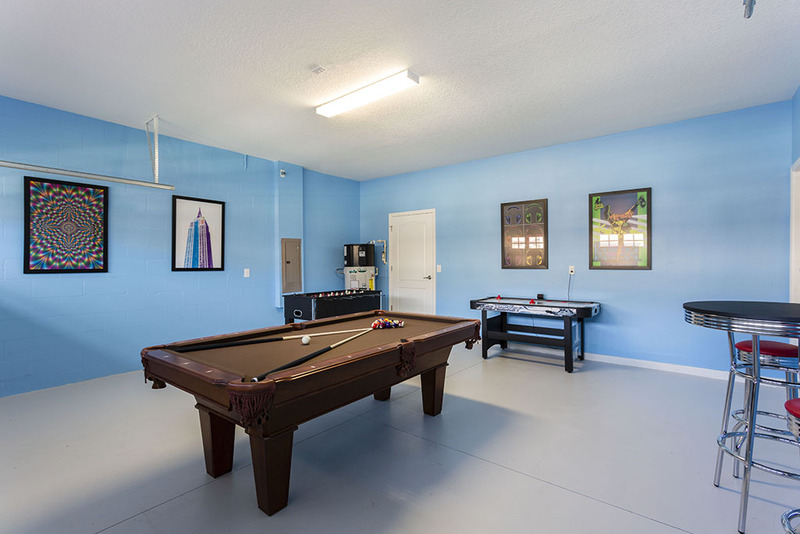 If you are heading to Orlando with a large group of family and friends, and are searching for a luxurious 8 bedroom pool home near the parks, this is the perfect home for you!